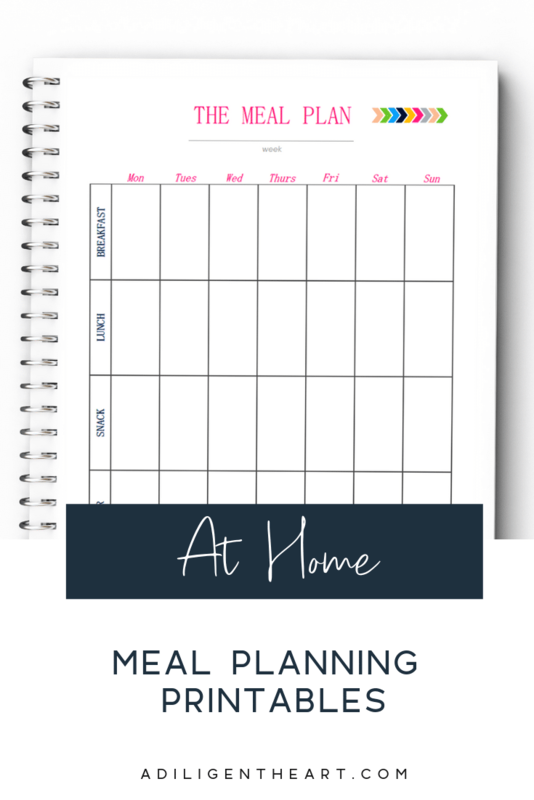 Looking for some sweet, clean, and easy-to-use meal planning pages? 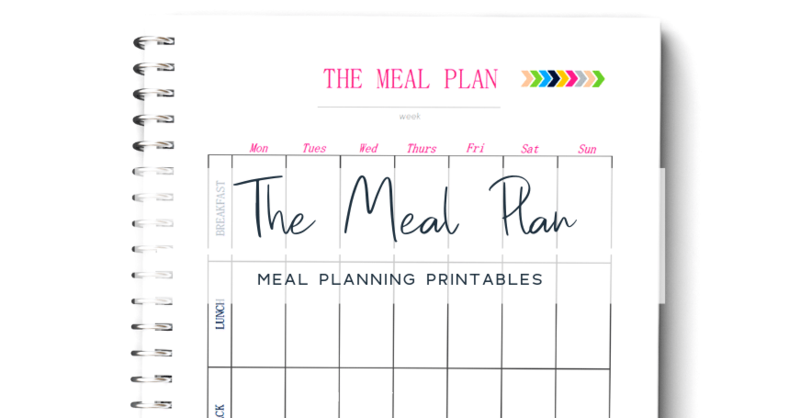 This printable will help you get a better hold of your meal planning sessions. 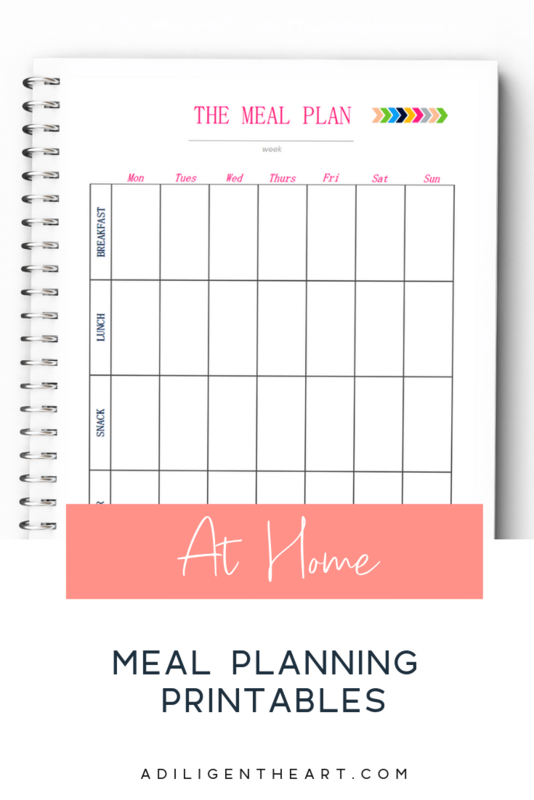 With everything in one place, you’ll be on top of your meal planning in no time! Below you’ll find two versions: Portrait and Landscape (and then one file with both). I made both because I couldn’t decide which I liked more! For now, I’m alternating them each week until I find which works for me best. Just click on the button to download The Meal Plan. 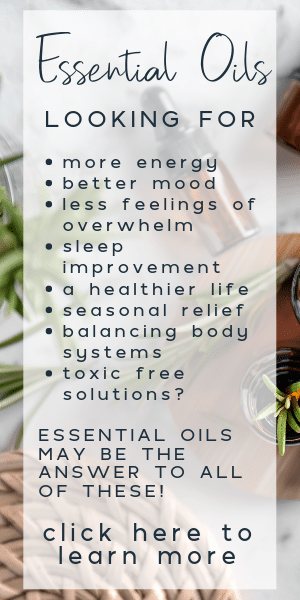 Enjoy!Looking for more organizing printables? Check out my Goal Tracking Pages.